HomeBlogBackpacksHiking: Small Day Pack, 20L-22L? Hiking: Small Day Pack, 20L-22L? A daypack is not the same as a backpack. All daypacks are small backpacks with a capacity ranging from 15 liters to 35 liters. A daypack is typically used to store a day’s gear and can be used for hiking, cycling, traveling and even going to work. A 20-liter daypack is said to be ideal to hike for a day or two. The primary reason to choose such small daypacks is to minimize the weight that is to be carried while hiking because heavy weights can cause injuries and exhaustion while walking long distances. Moreover, daypacks are not only small, but they are also lighter in weight as compared to backpacking bags. Backpacking bags are also used for hiking, but they are used for longer time. Backpacking bags can store things that take up much space, for example, clothes, shoes and tents. It should be kept in mind that one should not buy low-quality backpacks only because they are light and easy to carry on a hike, because these low-quality daypacks can tear apart very easily, and if that happens while you are hiking, you will be in a great deal of trouble. There are several light and small daypacks available in the market, and we will be discussing a few best ones of them available at Gizmoist.com. Light hiking backpacks and why you need them? ‘Cycling Backpack with Solar USB Charging’ is one of their best products so far hiking. It has a capacity of 15 liters, making it an ideal hiking daypack. It also has a water bag in it to keep the hikers hydrated at all times. Moreover, it also has an external USB charging port which allows you to charge your phone while walking and using it. Adding to this, the bag is extremely lightweight with a weight of just 728 grams. Adding to this, it has a solar panel which allows you to charge your phone without having to carry a power bank. Power banks are really heavy and not carrying it would considerably lower the weight of your luggage. The ‘Canvas Backpack for Men and Women’. It is a small backpack with most of the utilities available in it. It has an external USB charging port.It has a capacity of just 14 inches to fit the things that are essential. Moreover, the bag is made up of canvas material which makes it light weighted. The bag is extremely suitable for hiking, because of all the features mentioned and because it is waterproof. ‘Baibu solar backpack’ is another hiking daypack available at Gizmoist.com.The bag has a solar panel to provide your mobile phone the power without using a power bank. The condition of lightweight is met by the elimination of power bank and the light material used in the making of the bag. Moreover, the bag does not have many zips making it even less heavy. Adding to this, it does have several interior pockets to keep your stuff organized as you need it. 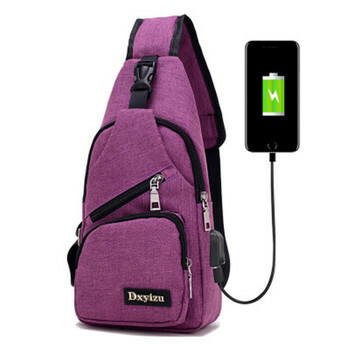 ‘Anti-Theft Waterproof Crossbody Messenger Backpack’ is another great daypack available at Gizmoist.com. It has a unique design of the crossbody strap instead of the normal shoulder straps. This bag too, has an external USB charging port. The bag is anti-theft and waterproof. Moreover, it also has mobile phone pockets with proper padding around them to keep your phone safe. Its polyester material makes the bag light enough to be carried easily while hiking. The mentioned and many other bags on Gizmoist.com provide good value of money as they are available at extremely reasonable prices and offer a great deal of utility. A 20-liter backpack can be bought at Gizmoist.com too with several other features in it besides just the lightweight. Moreover, the website keeps on having discount sales, so keep your eyes open and order right away whenever you see a good discount. The delivery is very quick and reliable too. How do you efficiently pack your backpack for hiking (or school)?